GP Report: 3 Things We Learned from the MXGP of Switzerland August 20, 2018 Herlings' continued brilliance, Prado's fourth win in a row in MX2, and more from Frauenfeld-Gachnang. 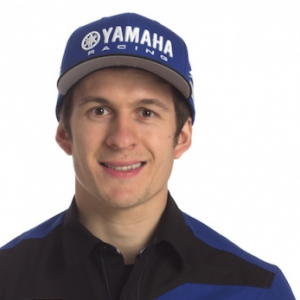 Seewer Moving To Factory Yamaha; Tonus Staying At Wilvo Yamaha August 13, 2018 Silly season in the FIM Motocross World Championship continues to roll along, and there is a big shakeup at Wilvo Yamaha. Jeremy Seewer Lands Two-Year MXGP Deal December 15, 2017 Wilvo Yamaha announced today that they’ve agreed to a two-year deal with the Swiss rider to compete in the MXGP Class. 250 Words: Free Agent Soap Opera October 27, 2017 How Yamaha, Husqvarna, and Suzuki deals all impacted each other on the free agent market. 250 Words: Jeremy Seewer August 29, 2017 The Swiss rider talks about his year in the MX2 class so far and the upcoming MXGP of USA. GP Report: MXGP of Sweden August 21, 2017 Febvre back on the trail as Gajser returns to the top step of the podium. MXGP of Switzerland Results August 13, 2017 Herlings, Paturel claim the Swiss Grand Prix. Switzerland Announces Motocross of Nations Team August 12, 2017 At the Grand Prix of Switzerland at Frauenfeld-Gachnang, Arnaud Tonus, Jeremy Seewer, and Valentin Guillod were selected to represent Team Switzerland. MXGP of Switzerland Qualifying Results August 12, 2017 Cairoli, Seewer top qualifying. MXGP of Portugal Results | Highlights July 2, 2017 Cairoli, Seewer capture wins in Portugal. Race Report: MXGP of Lombardia June 26, 2017 Italy basks in another display of Cairoli mastery as 2017 shines on for #222. MXGP of Lombardia Results | Highlights June 25, 2017 Cairoli, Seewer on top in Italy. Arnaud Tonus Tops Qualifying in Russia June 10, 2017 Jeremy Seewer fastest in MX2. Cairoli, Prado Victorious at MXGP of Trentino April 16, 2017 Eight-time world champion Antonio Cairoli outlasted defending world champion Tim Gajser today at Round 5 of the FIM World Motocross Championship at the MXGP of Trentino to claim the overall behind a first moto victory. GP Report: MXGP of Mexico April 3, 2017 Gajser and Covington rule Mexican MXGP.